Details: The project is coming up at Kandivali (West) spread over 3 acre of land. 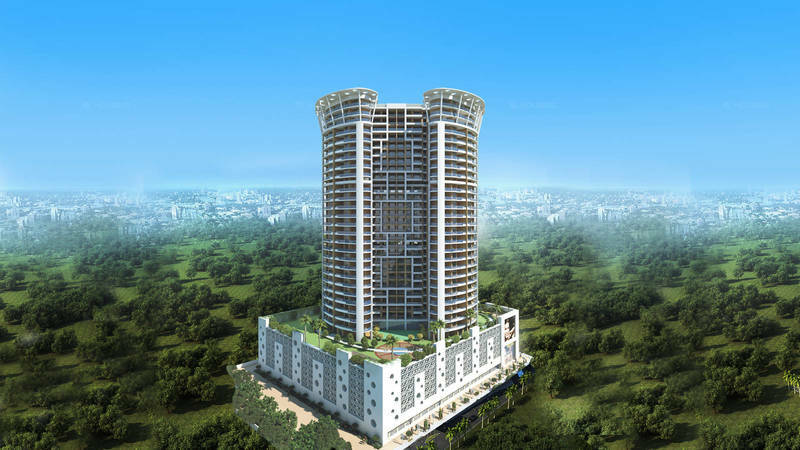 The project offers 2 towers with 4 level podium + 30 floors, having 312 units of 1 and 2 BHK apartments. The amenities include Jogging Track, Badminton Court, Chess, Table Tennis, Yoga/Meditation Area, Entrance Lobby, Wi-Fi Connectivity, Landscape Garden, Rain Water Harvesting, etc.